In 2014, the leading archaeology firm in Ontario began poring over historical reports on a three and a half hectare parcel of land in downtown Barrie, Ont., sitting on the shore of Kempenfelt Bay off Lake Simcoe. Rumours were beginning to spread of what happened there – mainly how the Ontario government extended its Toronto commuter GO Transit train line with a station and pedestrian underpass in 2012 through land where there was documented evidence of Indigenous burial grounds. It didn’t take long for ASI to see the provincial regulations that were in place to protect archaeological sites, like this one, had failed over and over. It began with a 2004 report by New Directions Archaeology. They were hired by GO Transit to conduct a Stage 1 assessment. The firm, and its owner Philip Woodley, felt the land had been so disturbed after years of operating as a major rail yard, it held no archaeological importance. Woodley never made mention of the burials or that Indigenous people had occupied that site for hundreds of years before settlers came in. Woodley told GO it didn’t need to do any archaeological testing, essentially giving Ontario the green light to start construction. But this was a mistake. And it would be the first of many. Who is ultimately to blame for allowing construction to start, and finish, is another question. Documents obtained by APTN National News point the finger directly at Ontario’s Ministry of Tourism, Culture and Sport (MTCS), the department charged with safeguarding archaeology sites. – Read the ASI report here. But the City of Barrie had multiple opportunities to stop the construction and didn’t, as staff knew of the documented burials and that their own archaeological consultant had told them not to dig where GO did. The cacophony of errors included reports not being shared, human bones found where other archaeologists said there were none and, as of today, the government is keeping quiet. There are laws protecting archaeological sites under the Ontario Heritage Act enforced by MTCS – destroying one without proper clearance comes with fines of up to $1 million. There’s another set of fines and possible jail sentence of two years for purposely destroying a burial ground under the province’s Cemeteries Act. To date, no one has been fined, charged or investigated as far as APTN has determined. This is the story of what happened at Allandale. Barrie is in Simcoe County, about an hour north of Toronto. It’s also known as Huronia because of its long Indigenous history. The Huron-Wendat confederacy occupied Simcoe County for hundreds of years up until about 1650 when the Haudenosaunee are said to have forced them out. That was made easier because disease, such as smallpox and the flu, had taken the lives of many Wendat people after Samuel de Champlain made his way up there. Settlers took claim of the land in the early 1800s. In 2013, over 1,700 Huron-Wendat bodies were reburied after being dug up from various locations in southern Ontario in the mid-20th century. A prominent area for the Wendat was on the shores of Kempenfelt Bay, particularly the Allandale Station lands. On that site, the Wendat buried their dead in large pits known as ossuaries, also known as the village of the dead. They would hold feasts and ceremonies to honour the deceased. They are not like a typical burial. In 1846, a large pit with at least 200-300 bundled bodies was discovered at Allandale. Some reports put the numbers as high as 1,000 bodies. Smaller ossuaries were discovered in 1884 and in 1889 after the railway came in, plus other burials. It’s not known what happened to those ossuaries. Philip Woodley’s 2004 report for GO Transit and the province doesn’t mention any of this. 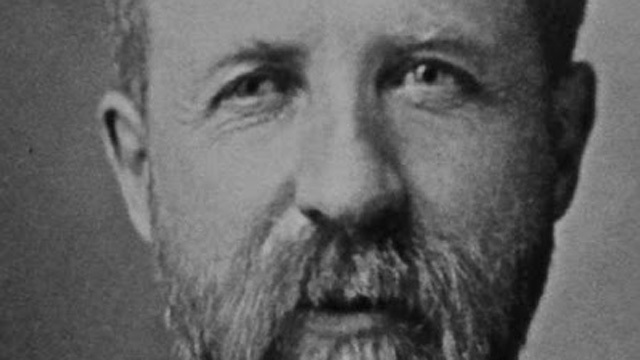 It also failed to mention that renowned historian and archaeologist Andrew Hunter documented all this in 1907. His reports are known to some in the archaeological world as the “Bible” of Simcoe County. Andrew Hunter documented Allandale in 1907. His reports are known in the archaeological world as the “Bible” of Simcoe County. Woodley also missed a Barrie Examiner newspaper article from 1926 that recounted an interview with a Major Joseph Rogers, the high constable for Simcoe County. “There are few people who stand on the station platform at Allandale and know they are standing right over one of the greatest Indian burial places known in Ontario,” Rogers is quoted as saying. None of this was missed by a different archaeological firm that accessed the site a few years before Woodley in 2000. The former AFBY Archaeological and Heritage Consultants was hired to do a Stage 1 assessment of a small portion of the site, basically around the old Allandale train station. A media company was looking to build a broadcast centre. But by law, they needed an archaeological report first. Unlike Woodley, AFBY quickly determined they needed to dig and see what was on the site. Owner Charlton Carscallen wanted to find the elusive, yet documented, ossuaries that hadn’t been seen for over 100 years. He didn’t find the pits, but proved the Wendat were there by finding a village, including thousands of pieces of ceramics and tools. He determined the site was rare as only a handful that old were known to exist. “We found a needle in the hay stack,” said Carscallen in an interview with APTN. Despite not finding the ossuaries, Carscallen was convinced the site needed further assessment if it was ever developed, particularly the areas where he didn’t test, as much of the site was left untouched. He sent his reports to the Ministry of Tourism, Sport and Culture as is the practice. 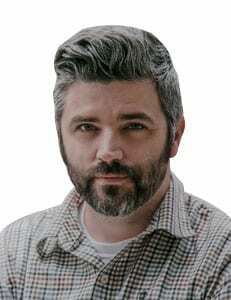 The ministry’s Malcolm Horne, a heritage planner at the time, agreed with Carscallen’s recommendation that any development was subject to archaeological clearance. Horne already knew what was documented on the property. He wrote to officials in Barrie when the city was acquiring the site back from the Canadian National Railway in the 1990s, and told them the lands had archaeological potential and there were rules to follow if they redeveloped the land. That included “no demolition, grading, filling, or any form of soil disturbances” without an issuance letter from the ministry according to Carscallen’s 2000 Stage 1 report. But Woodley claimed he didn’t get any of AFBY’s reports or Horne’s letter to the city. His report stated that he asked the ministry for any former archaeological reports, but wasn’t given any. The ministry is supposed to keep the reports on file. So, in 2007, when GO finally acquired a part of the Allandale Station lands from Barrie, and despite what officials within the MTCS knew about the site, a clearance letter was issued allowing GO Transit to move forward. By then the mistakes were piling up. ASI picked up on this in its review. “Further systemic gaps are indicated by the fact that in 2007 the Ministry of Culture issued a concurrence letter for (Woodley’s) report – essentially clearing the candidate GO station site on the Allandale Station lands of any further archaeological concern – in spite of the outstanding recommendations for further work on the property to which they had previously agreed in 2001,” wrote Robert MacDonald, the assistant managing partner at ASI in Toronto, in his January 2015 report. The official announcement that GO was going to downtown Barrie was made in April 2009. It would receive $5.5 million from the provincial and federal governments and Barrie would put in another $3.7 million. Patrick Brown, currently the Ontario PC party’s leader, was a Conservative MP for the riding at the time, and before that he was a Barrie city councillor. Brown would later say in 2012, having a GO station at Allandale had been a “key aspiration” of Barrie for a decade. 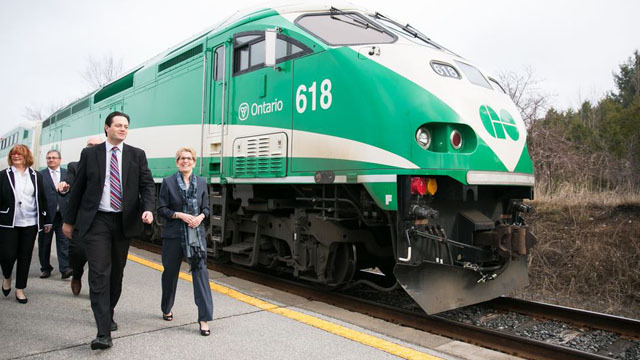 Premier Kathleen Wynne was the transportation minister. Premier Kathleen Wynne and Barrie Mayor Jeff Lehman in 2015 announcing the province will add more trips from Barrie to Toronto. Before GO came in with heavy machinery, there was one last chance for the Ontario government to follow its own rules. Someone just needed to say something. 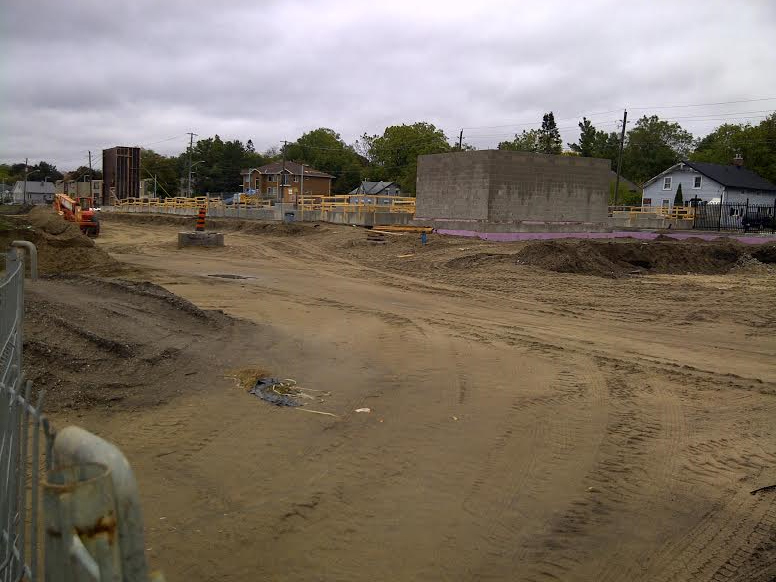 Barrie was trying to develop the land, and hired an archaeologist to do a Stage 1 assessment in November 2009. It went to AMICK Consultants, a local company, operated by Mike Henry. Before he started, Henry asked the ministry for all the former archeological reports on the site to get a complete picture of what had transpired on the property. Henry got AFBY’s reports, but somehow not Woodley’s. This was another so-called “breakdown” in the system. Henry just recently reviewed Woodley’s report for the first time after APTN obtained a copy. Had he seen Woodley’s report at the time he would have tried to stop GO as he’s always believed the ossuaries are, or were, in the area where GO’s tracks are. Regardless, Henry said the ministry should never accepted Woodley’s report just based on its merit. APTN left several messages with Woodley but never received a response. Mike Henry of AMICK Consultants. Henry said it’s rare when the ministry doesn’t make an archaeologist re-submit a report, so he’s puzzled as to why the government would have accepted Woodley’s considering all they knew and how little Woodley apparently knew of Huronia. So, without Woodley’s hidden report, Henry completed his Stage 1 assessment in early 2010. He noticed what AFBY did – when the railway was built in the 1850s, workers covered the entire site with fill to level it – meaning the natural soil had been protected all these years. The same soil the Wendat walked on was still there. 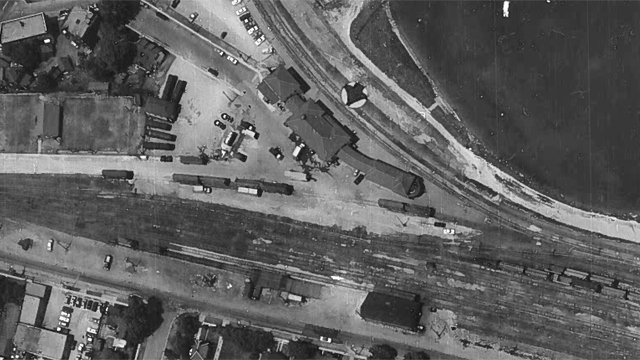 An aerial view of how the site used to look in 1966 when CN Rail tracks occupied the land, like is shown in the lower portion of the photo. Henry told APTN that would have included where GO was going to build their station and lay track. He filed his report with the city and Ministry of Culture, however nothing happened. Henry feels that should have raised alarm bells with the ministry as construction was starting around then and an archaeologist could have been called in. But, apparently, no bells went off. It doesn’t appear Barrie shared Mike Henry’s report with Metrolinx, the Ontario government agency that operates GO Transit. 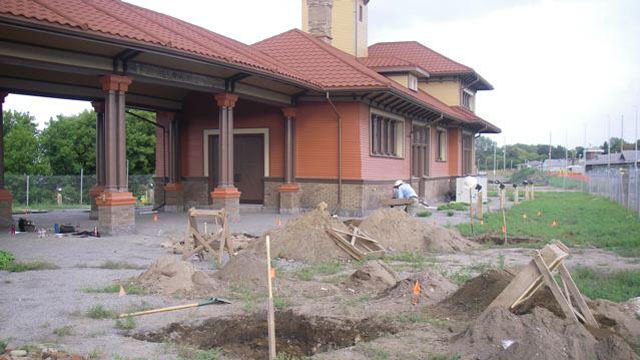 “It is Barrie’s understanding that Metrolinx conducted its own archaeological investigations for the work it was completing for the Allandale GO Train Station. Barrie does not have a record of those reports. 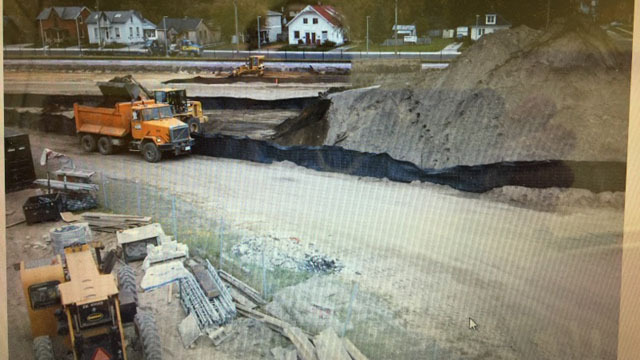 Barrie does not believe that Metrolinx discovered any archaeological artifacts during the course of its works,” said the city in a statement to APTN. In Henry’s 2010 report he also recommended Barrie not do any work on the existing buildings on site, including the dirt crawl spaces, without an archaeologist to check the space for remains first. Henry said Barrie ignored his recommendation and started to work in one of the building’s crawl spaces. There were human bones in the dirt. After police and the coroner confirmed the remains were over 50 years old, the city called Henry back in. He determined the bones were likely two people, an adult and a child. He also found a shovel-shaped human incisor, a known characteristic of Indigenous people pre-contact, suggesting the bones could be Indigenous. But the basement wasn’t the original burial site. They had been moved from another location and likely part of fill used when the building was constructed in the early 1900s. Barrie officials insist they took Henry’s report seriously. Henry has a different version of events. After Henry cleared the crawl space it was lowered and capped with cement. 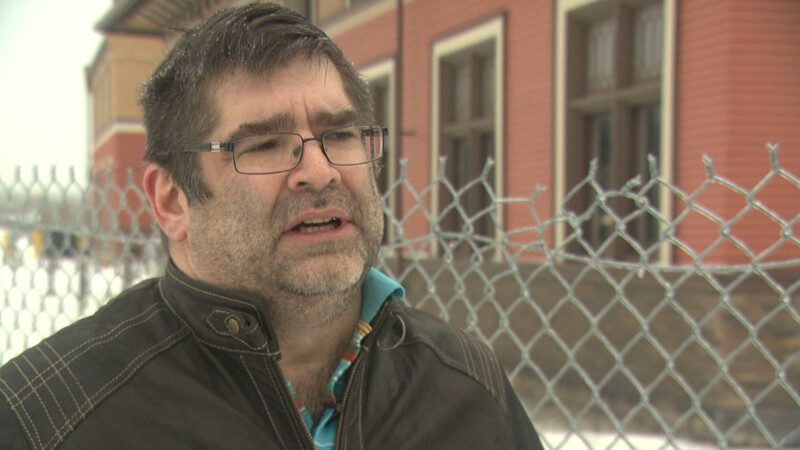 He alleges the city violated the Ontario Heritage Act because he told them not to go in the basement. -Robert MacDonald, Archaeological Services Inc.
APTN put a series of questions to the Ministry of Tourism, Culture and Sport, including whether Barrie should be fined. APTN also asked why the ministry allowed GO Transit to dig despite contradictory opinions, including their own. The ministry refused to answer those questions. The ministry was also given eight business days to answer 26 questions APTN asked but no one responded to those questions. Officials did say they are trying to improve the system and are reviewing reports. APTN can confirm that not only have they had the reports for several years, but that a whistleblower attended their office, along with his lawyer in May 2014, to tell them what happened at Allandale. The same Malcolm Horne, now an archaeology review officer, was in the meeting taking “copious” amount of notes, according to the people in the room. The ministry has refused to say if they followed up with the information from that meeting. The ministry was also involved after the bones were found in the crawl space in 2011, as was the Registrar of Cemeteries, that simply ignored questions. The ministry has had ASI’s report since January 2015 that called for “urgent action” to be taken on the Allandale site after reviewing all that happened. “(We’re) very concerned that gaps in provincially mandated policies and protocols, such as those which led to the construction of the Allandale Go Station without a Stage 2 archaeological assessment, may result in further impacts to the archaeological deposits and/or human remains on the Allandale Station Lands,” ASI said its report. According to documents obtained by APTN, GO believes its contractors didn’t find any burials. They also believe Woodley’s report cleared them to dig without further assessment. 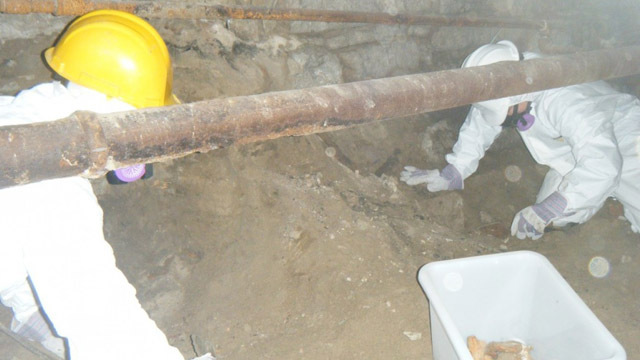 But while Mike Henry was dealing with the crawl space bones in 2011, he was contacted by representatives from GO who were working about a hundred yards away. They wanted Henry to look at their site to see if there was any archaeological concerns with their dig. When he arrived, they had already dug the site. Henry said cement had also been poured for the pedestrian underpass. This photo was taken in 2011 and shows work is underway on the pedestrian under pass. Henry sent GO a letter saying he didn’t see anything but told APTN that doesn’t clear them of any mistakes made by digging on the site. It was far too late for any archaeologist to determine what they had found. The bones beneath the building weren’t the only ones found near the former train station. Henry discovered many more in 2012 when the city had him monitor the digging of trenches so they could lay electrical wiring. As the back hoe lifted dirt from the ground, Henry’s team quickly spotted human bone. “Part of that trench went through AFBY’s dig, and while they were trenching it (we’re) picking human bones out,” said Henry. AFBY’s Charlton Carscallen said they stripped the fill from around the building and dug in the natural soil, which why they likely missed so many pieces of human bone. A more comprehensive testing of the area was called for by the Registrar of Cemeteries and MTCS, including doing test squares, of about four feet deep and just in the fill on top of the natural soil. “By the time we were done that, digging all our squares, the only thing we could say is ‘yep, there is a lot of human bone and it goes beyond where we’re looking,” said Henry. In total, including the trenches and test squares, Henry’s team said they found over 900 pieces of human bone and many more human teeth, with similar shovel-shaped groves in them. Some pieces of bone had mortar on it, including in the cracks as though wet cement had been poured on them. He even found pieces of bone in the foundation of the buildings. Because of the marking on the bones, Henry could determine they came from somewhere else long ago. And they likely would have come from north on the property, where the GO train station and tracks are said Henry. The bones were examined by Henry’s staff, including Kayleigh MacKinnon, a licensed archaeologist researcher who has her master’s degree in human osteoarchaeology from the University of Edinburgh in the United Kingdom, essentially the analysis of human skeletal remains. APTN was shown a human jaw with teeth still attached, a neck bone and several other pieces from a wrist and pelvis. They also uncovered hundreds of pieces that were either too fragmented or identified as animal. “We have all the way from an infant … to older individuals,” said MacKinnon. Henry said his dig didn’t get all the disturbed bones from the around the building and they remain there today, while Barrie plans to open the renovated buildings to business, including a possible wedding reception hall and coffee shop. The bones he recovered remain in his office while the government figures out what to do with them. “Until we come to a decision and that’s usually when the Registrar of Cemeteries designates whomever is going to speak for the deceased,” said Henry, meaning which First Nation will claim them. The Wendat, who resettled to Quebec in the late 1800s, is involved and is currently waiting for a decision to be made. But APTN has learned there’s something holding that up. There’s a lawsuit over who owns part of the land that needs to be settled. A Brampton developer is suing the city for a number of reasons, one being he was never told the lands were a documented burial ground when he won bid to build condos on the site with underground parking in early 2009. Starting in 1999 the Conservative government tried to clean this up, but since the Liberals came in, it’s worse than ever. This is very far from unique. In addition to the evident lack of understanding of a nation to nation Treaty relationship – this is a classic example of why an Anti-Racism Directorate is so very much needed in Ontario – so that a consistent race lens can be brought to bear across all government legislative, policy and program work as well as decision-making – to thereby note and specifically address any and all impacts and outcomes for First Peoples and peoples of colour across the province !! Wow, I hope this doesn’t stop and I hope there is going to a lot more media coverage. I recall when they found the bones in the dirt crawl space and I questioned what the hell was going on then. There needs to be a whole lot of accountability here and I hope it happens. This is beyond disgusting!